Do you know that there are some successful DJs in Nigeria that are richer than musicians in the country? Even though its uncommon to see disc jockeying as a career, there are those making waves in the music industry that are popular. Who is the Richest Dj in Nigeria today? DJ Xclusive and DJ Neptune are the richest DJs in Nigeria today having an estimated net worth running into millions of dollars each. They are both popular and influential in the music industry. DJ Humility is regarded as one of the hottest DJs in the country. Benedict Afagbe is his real name. His lifestyle before he became famous was nothing to write home about. Growing up inside the barracks, he lost his father in 2005. If you listen to DJ Humility’s mix-tape, you would see why he is regarded as the best Nigerian DJ there is especially when it comes to rap and hip-hop. He has also been nominated for the Nigerian entertainment award for best DJ. DJ Humility is happily married to his wife has three sons. According to him, his second son loves the entertainment industry and might emulate him in the nearest future. DJ Humility’s net worth is estimated at $900000 and he makes money from shows aside his mansions, other investments and cars. DJ Baddo is a popular disc jockey. His real name is Godfrey Egbe and he was born on 6th of May 1984 in Lagos state but hails from Edo state. Baddo is a blogger and a music promoter and is known as the Street king when it comes to promoting music. 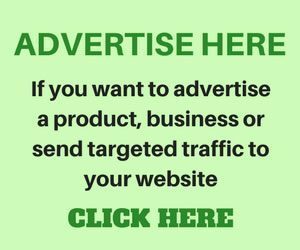 DJ Baddo is the No.1 promotional mix in Lagos State which has seen his status rise as one of the popular DJs in the music industry. He has since collaborated with several other rappers and hip-hop artist such as Terry G, Jaywon, Durella & Miyaki, Samba Dance, Skales, and Seriki. DJ Baddo net worth is estimated at $800,000 and he makes money from doing mix tapes, shows, etc. DJ Lambo is a female Nigerian DJ whose real name is Olawunmi Okerayi. She took after her father who was also a disc jockey who was influential during his time. She has worked as a radio personality (OAP) at Raypower 100.5 FM in the year 2008 and 2009. In 2013, DJ Lambo signed to Loopy Music and was listed as top 5 Nigerian DJs to watch out for in 2015. She won DJ of the Year (Female) at the 2016 City People Entertainment Awards and was chosen to play at Big Brother Nigeria’s season 2 reality game show. DJ Lambo is worth an estimated $500,000. 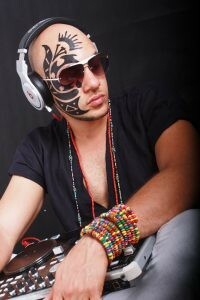 DJ Sose is another rich Nigerian DJ who comes from Edo state. Although he was born in Ibadan to a Hungarian mother and a Nigerian father, his real name is Thomas Amar-Aigbe. According to him, his stage name, ‘Sose’ was given to him by his dad which means ‘Bear Witness’. He has a tattoo on his face which he revealed makes him unique and part of his brand. Rated among the top 10 African DJs by Channel 0, Sose has won various awards in the Nigerian Entertainment Awards. He is married to his wife Olamide and his net worth is estimated at $400,000. DJ Caise is another talented celebrity whose name is Derin Phillips. Before his emergence as one of the richest DJ’s in Nigeria, he first studied music at the University of Reading. He invents his own unique beats which has seen DJ Caise perform alongside other music industry’s leading artists. He also comes from a wealthy family and has a degree in Economics and Master’s in Finance. DJ Caise is currently signed to Chocolate City music record label and he works at The Beat 99.9 FM where he hosts his program, DJ Caise In The Mix, aired on Friday night from 9 pm to 7 am. DJ Cuppy is the richest female DJ in Nigeria and daughter of billionaire, Femi Otedola. Her real name is Florence Ifeoluwa Otedola and she was born 11th of November, 1992. She is one of the highest paid DJ’s in the country today. Cuppy attended King’s College in London where she studied Business and Economics and graduated with a degree in Business and Economics in 2014. She also has a Master’s Degree in Music Business. Aside from being a famous disco junky, she is also a music celebrity involved in music management and content production business. Her company, Red Velvet Music Group was launched in 2014. You can download most of her mix online. DJ Cuppy is a brand ambassador to a host of firms both home and abroad. She was appointed to be a tourism ambassador for the country’s “Fascinating Nigeria” campaign by Nigeria’s Minister of Tourism, Culture and National Orientation, Edem Duke. She was officially announced as one of Pepsi’s DJ ambassadors and has starred in their commercial. Cool DJ Jimmy Jatt is one of the few leading hip-hop DJs in Nigeria that paved way for many others in the music industry. Born in 1966, his real names are Oluwaforijimi Jimmy Adewale Amu. He began his career as a rapper which wasn’t successful as he failed to secure a contract in any record label. Jimmy Jatt then ventured into the art of disco jockeying and became popular as a DJ after hosting a street carnival titled “Road Block”, which featured upcoming rappers in a lyrical battle. The release of the mixtape, “The Definition”, featured a combination of songs by different hip-hop music artistes which included the likes of 2Baba, Sound Sultan, Mode 9, 9ice, Naeto C, Ruggedman, M.I and a host of others. His mixtape has a track “Stylee”, which saw the likes of 2Baba, Mode 9 and ElaJoe rap. This song was nominated at the 2007 edition of the Channel O Music Video Awards because of its uniqueness. The talented DJ has won series of awards and has endorsement deals worth millions of Naira. DJ Jimmy Jatt has an estimated financial worth of $700,000 and he is one of the highest paid DJs in the country. DJ Spinall is a multiple award winning celebrity DJ known as The Crazy Azz Party. His popularity has seen him become the first Nigerian DJ tour in the United States and get foreign endorsements. Born as Sodamola Oluseye Desmond, he was bred in Lagos State. In 2013, he signed to Mavin Records Label but left them to sign a major international recording deal with Atlantic Records UK. He announced this news on his Instagram handle. DJ Spinall has endorsement deals with Pepsi and he is a brand ambassador to Smirnoff Ice drink. He is worth $850,000 financially. DJ Neptune is another popular and richest DJ in the country worth an estimated $1.1 million dollars. His original name is Imohiosen Patrick and he is from Edo State. DJing to Neptune is very easy, no wonder he is among the best in the business. He got into the act while in school after seeing other professional DJs online and then practicing to be the best. DJ Neptune has worked as the in-house DJ for Ray power 100.5 FM, Lagos since he began his professional career as a DJ in 2001. 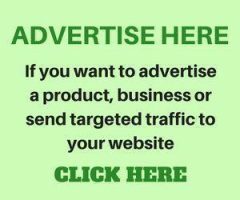 DJ Xclusive is the richest DJ in Nigeria today with a financial net worth of $2 million and a host of endorsement deals. His name is Rotimi Alakija and was born to Nigerian parents in the United Kingdom. DJ Xclusive has performed with foreign popular artistes like Ne-Yo, Mario Winans, Rihanna, Brick and Lace, etc. He is also a record producer and recording artist and also the highest paid DJ in the country.